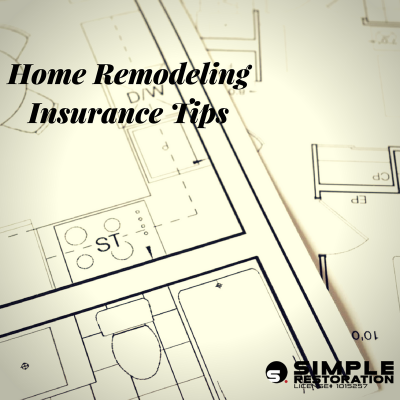 Simple Restoration works with all insurance companies when it comes to water damage restoration. We pride ourselves on acting quickly and efficiently to restore your home to how it was in its prime. 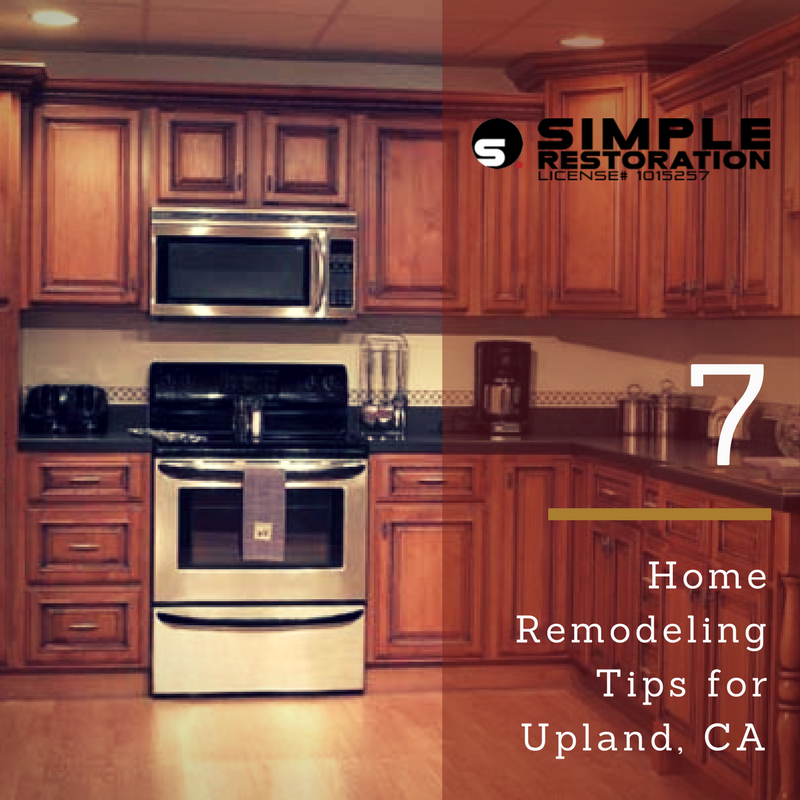 With the quickest response time and most competitive rates in Montclair, Simple Restoration is the first choice in home restoration for many. 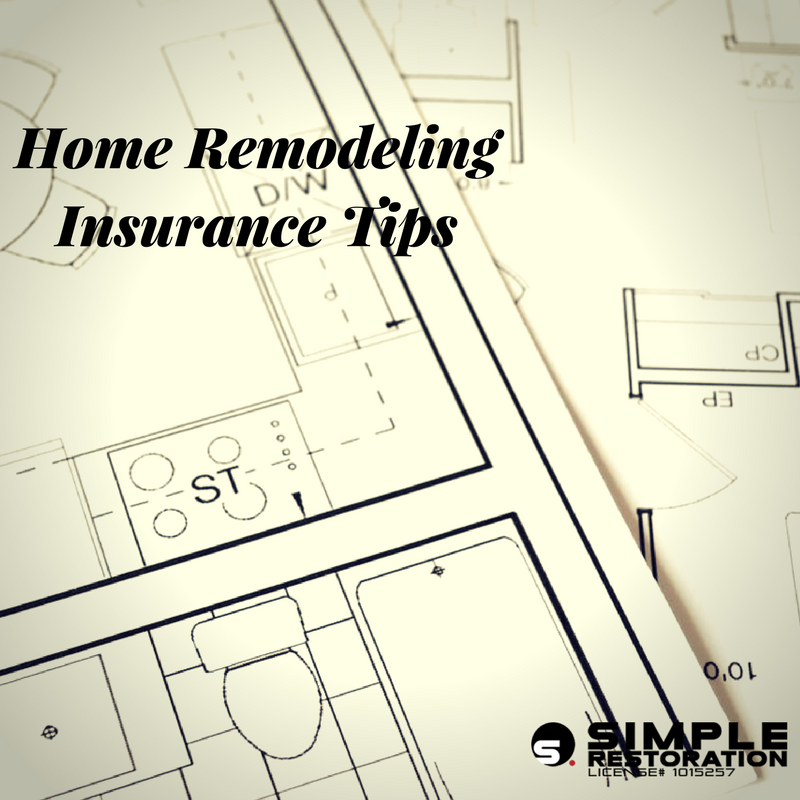 However, the preferable alternative to going through insurance claim processes and dealing with the stress of the situation is to prevent water damage from happening in the first place. 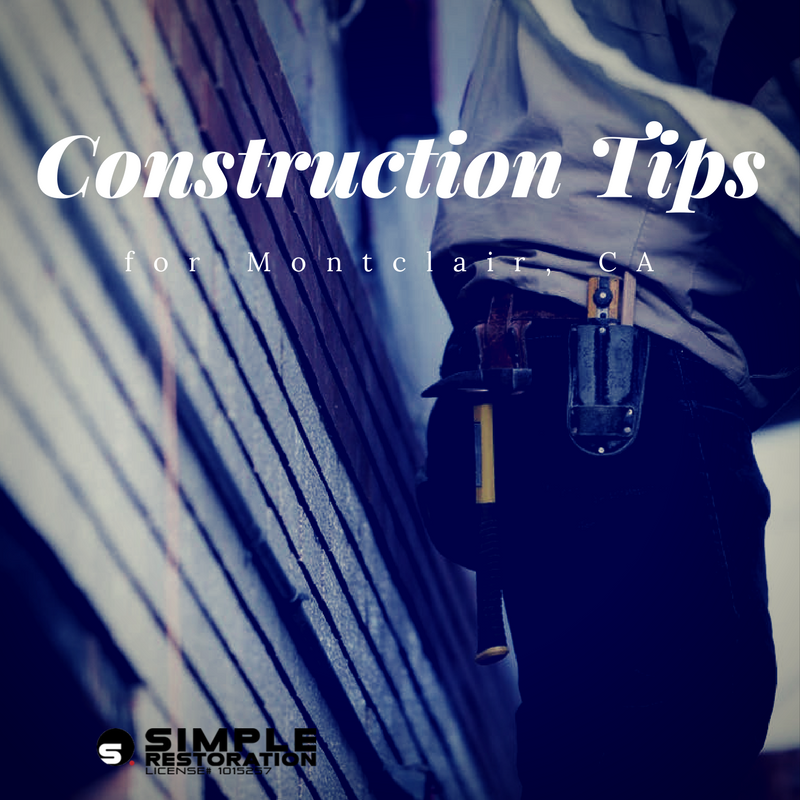 That’s why Simple Restoration is providing the following 5 tips for preventing water damage in your Montclair home. You should keep an eye on not only your gutters, but your water bill as well! There are probably many more pipes in the walls of your home than you are aware of. That means that there might be a leak or two that you don’t know about either. To prevent water damage inside the walls of your home, you can easily examine your water bill every month. If it’s a lot higher than it usually is, but you’re sure that your household didn’t use as much water, then you probably have a leaky water pipe. In that case, you should call a professional and have it repaired immediately. It doesn’t take long for constant leakage to lead to serious water damage. 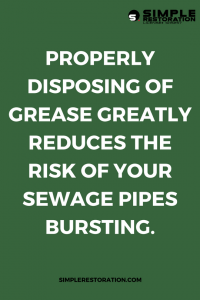 Although it’s not always the easiest practice, disposing of your grease properly is beneficial for quite a few reasons. Most importantly, it can build up, solidify, and become a nasty clog in your sewage pipe. This can eventually cause the pipe to burst and flood your home with sewage. Whether you flush your pipes with hot or cold water, this is still a possibility if you pour your grease down the sink. Sure, you can use detergents and other chemicals to help break the grease down, but this doesn’t always work. Instead, the safest bet is to either wait for fatty grease to solidify and to simply throw it away, or to collect your grease and recycle it. Many recycling centers now accept grease for no charge. While you are collecting grease or storing it for proper disposal, you should use a can or a glass jar to ensure that it doesn’t leak and make a mess. Here is a video showing a few ways to get rid of extra grease. There are many chemicals which are designed to unclog drains, and which are used by many people daily. Although it may be convenient to simply pour some chemicals down your drain, it isn’t necessarily the best method of unclogging a pipe. In fact, some of these chemicals are so corrosive that, if used extensively, they can start eating through the pipes themselves. This can, of course, lead to a leak and result in water damage. Therefore, if you use chemicals such as these regularly, you are putting your home at risk. The best and safest way to unclog pipes is to use a drain snake. They are easy to find at any hardware store and are fairly inexpensive. On top of that, they can cut through just about any clog. 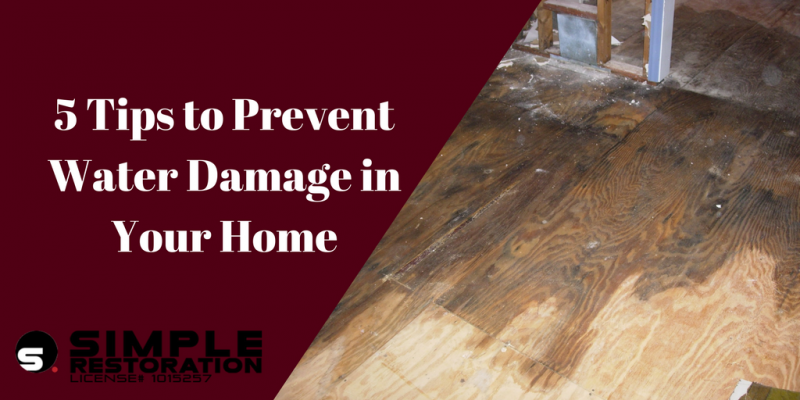 These 5 tips can potentially save you a lot of money and stress, as they are the best methods of preventing water damage. All pipes are subject to clogging and things naturally happen that cause pipes to burst. However, having the proper knowledge about your water pipes is the best preventative measure that you can possibly take. 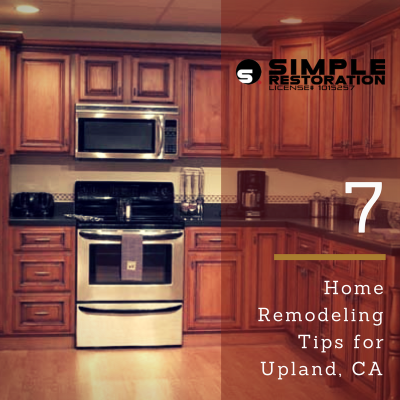 If your Montclair home does happen to be affected by water damage, then don’t hesitate to call Simple Restoration at (866) 391-0541. 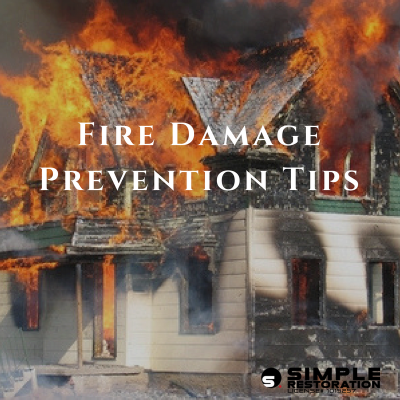 We will act immediately to restore your home to its former glory.